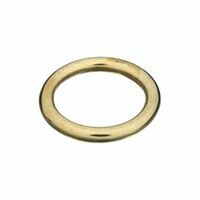 National Hardware Ring, Series: 3156BC, 1-1/8 in, Solid Brass, 215 lb Load Capacity, For Rope, Chain and Strap National Hardware Ring, Series: N244, Suitable For Use With: Connecting Rope, Chain or Strap, NO 3 x 1-1/2 in, Steel, Brass, 300 lb Load Capacity Yellow zinc plated. Used in farm, lawn & garden and other applications to secure attachments and pins. National Hardware Ring, Series: 3155BC, NO 1 X 3 in, Steel, Zinc Plated, 850 lb Load Capacity, For Rope, Chain and Strap Yellow zinc dichromate plated spring wire. Use For: Farm and Other Applications. Yellow zinc dichromate plated spring wire. Use For: Farm and Other Applications. National Hardware Ring, Series: N244, Suitable For Use With: Connecting Rope, Chain or Strap, NO 1 x 3 in, Steel, Brass, 850 lb Load Capacity Many farm, lawn, and garden and industrial applications. Yellow zinc dichromate plated. Complete with 'R' Clip pin. High quality ASA Standard chain links. Every pin, bushing, roller and side plate is shot-peened during production to increase metal fatigue resistance. Heavy roller chain (i.e. 60H or 80H roller chain) provides extra thickness of side plates which affords greater capacity of shock load without experiencing side plate metal fatigue. High quality ASA Standard chain links. Every pin, bushing, roller and side plate is shot-peened during production to increase metal fatigue resistance. Heavy roller chain (i.e. 60H or 80H roller chain) provides extra thickness of side plates which affords greater capacity of shock load without experiencing side plate metal fatigue. High quality ASA Standard chain links. Every pin, bushing, roller and side plate is shot-peened during production to increase metal fatigue resistance. Heavy roller chain (i.e. 60H or 80H roller chain) provides extra thickness of side plates which affords greater capacity of shock load without experiencing side plate metal fatigue. Many farm, lawn, and garden and industrial applications. Yellow zinc dichromate plated. Complete with 'R' Clip pin. High quality ASA Standard chain links. Every pin, bushing, roller and side plate is shot-peened during production to increase metal fatigue resistance. Heavy roller chain (i.e. 60H or 80H roller chain) provides extra thickness of side plates which affords greater capacity of shock load without experiencing side plate metal fatigue. High quality ASA Standard chain links. Every pin, bushing, roller and side plate is shot-peened during production to increase metal fatigue resistance. Heavy roller chain (i.e. 60H or 80H roller chain) provides extra thickness of side plates which affords greater capacity of shock load without experiencing side plate metal fatigue. Yellow zinc dichromate plated spring wire. Use For: Farm and Other Applications. High quality ASA Standard chain links. Every pin, bushing, roller and side plate is shot-peened during production to increase metal fatigue resistance. Heavy roller chain (i.e. 60H or 80H roller chain) provides extra thickness of side plates which affords greater capacity of shock load without experiencing side plate metal fatigue. High tensile steel with a spring wire handle and oversized washer-head. Zinc plated. 25 percent stronger than grade 2. High tensile steel with a spring wire handle and oversized washer-head. Zinc plated. 25 percent stronger than grade 2. High tensile steel with a spring wire handle and oversized washer-head. Zinc plated. High tensile steel with a spring wire handle and oversized washer-head. Zinc plated. 25 percent stronger than grade 2. High quality ASA Standard chain links. Every pin, bushing, roller and side plate is shot-peened during production to increase metal fatigue resistance. Heavy roller chain (i.e. 60H or 80H roller chain) provides extra thickness of side plates which affords greater capacity of shock load without experiencing side plate metal fatigue. High tensile steel with a spring wire handle and oversized washer-head. Zinc plated. 25 percent stronger than grade 2. High quality ASA Standard chain links. Every pin, bushing, roller and side plate is shot-peened during production to increase metal fatigue resistance. Heavy roller chain (i.e. 60H or 80H roller chain) provides extra thickness of side plates which affords greater capacity of shock load without experiencing side plate metal fatigue. High tensile steel with a spring wire handle and oversized washer-head. Zinc plated. 25 percent stronger than grade 2. High tensile steel with a spring wire handle and oversized washer-head. Zinc plated. 25 percent stronger than grade 2. High quality ASA Standard chain links. Every pin, bushing, roller and side plate is shot-peened during production to increase metal fatigue resistance. Heavy roller chain (i.e. 60H or 80H roller chain) provides extra thickness of side plates which affords greater capacity of shock load without experiencing side plate metal fatigue. Hitch pin clip assortment in plastic blister box. High quality ASA Standard chain links. Every pin, bushing, roller and side plate is shot-peened during production to increase metal fatigue resistance. Heavy roller chain (i.e. 60H or 80H roller chain) provides extra thickness of side plates which affords greater capacity of shock load without experiencing side plate metal fatigue. High quality ASA Standard chain links. Every pin, bushing, roller and side plate is shot-peened during production to increase metal fatigue resistance. Heavy roller chain (i.e. 60H or 80H roller chain) provides extra thickness of side plates which affords greater capacity of shock load without experiencing side plate metal fatigue. High tensile steel with a spring wire handle and oversized washer-head. Zinc plated. 25 percent stronger than grade 2. High tensile steel double heat treated. One piece forged pin painted black. Handle is red plastic-coated. Includes zinc plated clip. High tensile steel with a spring wire handle and oversized washer-head. Zinc plated. High tensile steel double heat treated. One piece forged pin painted black. Handle is red plastic-coated. Includes zinc plated clip. High quality ASA Standard chain links. Every pin, bushing, roller and side plate is shot-peened during production to increase metal fatigue resistance. Heavy roller chain (i.e. 60H or 80H roller chain) provides extra thickness of side plates which affords greater capacity of shock load without experiencing side plate metal fatigue. High quality ASA Standard chain links. Every pin, bushing, roller and side plate is shot-peened during production to increase metal fatigue resistance. Heavy roller chain (i.e. 60H or 80H roller chain) provides extra thickness of side plates which affords greater capacity of shock load without experiencing side plate metal fatigue. Our premium heat treated, forged hitch pin made from alloy steel is designed for the toughest applications. Pin has black powder coating with a blue vinyl coated head and handle. Plated clip pin included. High tensile steel with a spring wire handle and oversized washer-head. Zinc plated. 25 percent stronger than grade 2. High tensile steel double heat treated. One piece forged pin painted black. Handle is red plastic-coated. Includes zinc plated clip. High quality ASA Standard chain links. Every pin, bushing, roller and side plate is shot-peened during production to increase metal fatigue resistance. Heavy roller chain (i.e. 60H or 80H roller chain) provides extra thickness of side plates which affords greater capacity of shock load without experiencing side plate metal fatigue. High tensile steel with a spring wire handle and oversized washer-head. Zinc plated. 25 percent stronger than grade 2. High tensile steel double heat treated. One piece forged pin painted black. Handle is red plastic-coated. Includes zinc plated clip. High tensile steel with a spring wire handle and oversized washer-head. Zinc plated. High quality ASA Standard chain links. Every pin, bushing, roller and side plate is shot-peened during production to increase metal fatigue resistance. Heavy roller chain (i.e. 60H or 80H roller chain) provides extra thickness of side plates which affords greater capacity of shock load without experiencing side plate metal fatigue. Our premium heat treated, forged hitch pin made from alloy steel is designed for the toughest applications. Pin has black powder coating with a blue vinyl coated head and handle. Plated clip pin included. High tensile steel double heat treated. One piece forged pin painted black. Handle is red plastic-coated. Includes zinc plated clip. High tensile steel with a spring wire handle and oversized washer-head. Zinc plated. High quality ASA Standard chain links. Every pin, bushing, roller and side plate is shot-peened during production to increase metal fatigue resistance. Heavy roller chain (i.e. 60H or 80H roller chain) provides extra thickness of side plates which affords greater capacity of shock load without experiencing side plate metal fatigue. High tensile steel with a spring wire handle and oversized washer-head. Zinc plated. Our premium heat treated, forged hitch pin made from alloy steel is designed for the toughest applications. Pin has black powder coating with a blue vinyl coated head and handle. Plated clip pin included. Our premium heat treated, forged hitch pin made from alloy steel is designed for the toughest applications. Pin has black powder coating with a blue vinyl coated head and handle. Plated clip pin included. High tensile steel double heat treated. One piece forged pin painted black. Handle is red plastic-coated. Includes zinc plated clip. Our premium heat treated, forged hitch pin made from alloy steel is designed for the toughest applications. Pin has black powder coating with a blue vinyl coated head and handle. Plated clip pin included. Used for coupling implement and machinery. High tensile steel double heat treated. One piece forged pin painted black. Handle is red plastic-coated. Includes zinc plated clip. High tensile steel with a spring wire handle and oversized washer-head. Zinc plated. 25 percent stronger than grade 2. Our premium heat treated, forged hitch pin made from alloy steel is designed for the toughest applications. Pin has black powder coating with a blue vinyl coated head and handle. Plated clip pin included. Used for coupling implement and machinery. Used for coupling implement and machinery. High tensile steel with a spring wire handle and oversized washer-head. Zinc plated. Used for coupling implement and machinery. High tensile steel double heat treated. One piece forged pin painted black. Handle is red plastic-coated. 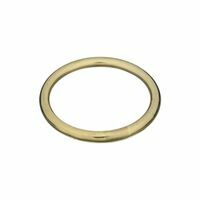 Includes zinc plated clip. Our premium heat treated, forged hitch pin made from alloy steel is designed for the toughest applications. Pin has black powder coating with a blue vinyl coated head and handle. Plated clip pin included. Used for coupling implement and machinery. High quality ASA Standard riveted roller chain. Every pin, bushing, roller and side plate is shot-peened during production to increase metal fatigue resistance. In 10' lengths for replacing complete chains or large sections. Heavy roller chain (i.e. 60H or 80H roller chain) provides extra thickness of side plates which affords greater capacity of shock load without experiencing side plate metal fatigue. High tensile steel double heat treated. One piece forged pin painted black. Handle is red plastic-coated. Includes zinc plated clip. High quality ASA Standard riveted roller chain. Every pin, bushing, roller and side plate is shot-peened during production to increase metal fatigue resistance. In 10' lengths for replacing complete chains or large sections. Heavy roller chain (i.e. 60H or 80H roller chain) provides extra thickness of side plates which affords greater capacity of shock load without experiencing side plate metal fatigue. High quality ASA Standard riveted roller chain. Every pin, bushing, roller and side plate is shot-peened during production to increase metal fatigue resistance. In 10' lengths for replacing complete chains or large sections. Heavy roller chain (i.e. 60H or 80H roller chain) provides extra thickness of side plates which affords greater capacity of shock load without experiencing side plate metal fatigue. High quality ASA Standard riveted roller chain. Every pin, bushing, roller and side plate is shot-peened during production to increase metal fatigue resistance. In 10' lengths for replacing complete chains or large sections. Heavy roller chain (i.e. 60H or 80H roller chain) provides extra thickness of side plates which affords greater capacity of shock load without experiencing side plate metal fatigue. Dual ratchet drive. 4 ton pulling/2 ton lifting capacity with 6' reach. Features dual ratchet drive, galvanized aircraft cable, nonslip rubber grip, notch-at-a-time let down, rugged steel ratchet wheel guard, 360 swivel, pulley block, and slip hooks with OSHA recommended self-closing latches. Applications: stretching, pulling, lifting, or lowering. For disassembling rivet-type roller chain instead of using a hammer and punch. Adapted for the following pitch: 1/4'', 3/8'', 5/8'', and 3/4'' from No.25 to No.100. Quality made tool with jaws milled from bar stock. Replaceable punch point is tempered steel for long life. Black oxide and zinc plated. High quality ASA Standard riveted roller chain. Every pin, bushing, roller and side plate is shot-peened during production to increase metal fatigue resistance. In 10' lengths for replacing complete chains or large sections. Heavy roller chain (i.e. 60H or 80H roller chain) provides extra thickness of side plates which affords greater capacity of shock load without experiencing side plate metal fatigue. High quality ASA Standard riveted roller chain. Every pin, bushing, roller and side plate is shot-peened during production to increase metal fatigue resistance. In 10' lengths for replacing complete chains or large sections. Heavy roller chain (i.e. 60H or 80H roller chain) provides extra thickness of side plates which affords greater capacity of shock load without experiencing side plate metal fatigue. Dual Ratchet Drive; notch at a time. Laminated steel ratchet wheel; Operates in any position. Plated steel for rust resistance. Drop forged safety hooks. Meets OSHA Specs. Meets ASME Spec B30.21-1999. Heavy duty construction. Hardened and tempered stress bearing plates. Drop forged and heat treated hooks with safety latch. Double gear latch. Double gear ratchet mechanism for smoother operation. High quality ASA Standard riveted roller chain. Every pin, bushing, roller and side plate is shot-peened during production to increase metal fatigue resistance. In 10' lengths for replacing complete chains or large sections. Heavy roller chain (i.e. 60H or 80H roller chain) provides extra thickness of side plates which affords greater capacity of shock load without experiencing side plate metal fatigue. Yellow dacronized coating. Not for use in ACQ lumber. 1 ton capacity, 2:1 safety factor for stretching, pulling or bracing/lift up to 1/2 ton capacity 4:1 safety factor. Automatic notch-at-a-time control. Galvanized aircraft cable, plated steel frame/steel parts. Made in USA. High quality ASA Standard riveted roller chain. Every pin, bushing, roller and side plate is shot-peened during production to increase metal fatigue resistance. In 10' lengths for replacing complete chains or large sections. Heavy roller chain (i.e. 60H or 80H roller chain) provides extra thickness of side plates which affords greater capacity of shock load without experiencing side plate metal fatigue. Precision-cast aluminum alloy ratchet wheel; one piece construction galvanized, aircraft quality cable. Interlocking, precision fit, steel alloy pawls with safety spacer sleeve. Cold rolled, high strength, tempered steel frame and handle drop-forged steel slip hooks with OSHA Recommended safety latches. Heavy gauge steel, reinforced ratchet guard. Aircraft-type, heat treated bolts. High tensile strength, full rotating steel swivel. Trouble free, ``Notch-At-A-Time" letdown. Permanent, comfortable, non-slip grip. Safety factor 2:1. Cable diameter 3/16". SPECIFICATIONS: No.144SB-6 Maximum lift 6', and leverage 30:1. No.144S-6 Maximum lift 12', and leverage 15:1. Yellow dacronized coating. Not for use in ACQ lumber. Yellow dacronized coating. Not for use in ACQ lumber. Yellow dacronized coating. Not for use in ACQ lumber. Incorporates a pulley block, doubling the pulling power by double-lining the cable through it. One piece pulley block wheels for longer cable life. Padded comfortable round grip. Automatic notch-at-a-time control. Galvanized aircraft test cable. Cast ratchet wheel and pawls for longer life. Heavy zinc plated steel. Drop forged steel hooks. Strong handle. Heavy gauge steel, ratchet guard. Strong clevis pins. Safety Factor Capacity: 2:1 For disassembling rivet-type roller chain instead of using a hammer and punch. Adapted for the following pitch: 1/4'', 3/8'', 5/8'', and 3/4'' from No.25 to No.100. Quality made tool with jaws milled from bar stock. Replaceable punch point is tempered steel for long life. Black oxide and zinc plated. Cable Limiter; keeps two wraps of cable on the ratchet wheel. Releases load one notch at a time. Dual Ratchet Drive; notch at a time. Laminated steel ratchet wheel; Operates in any position. Plated steel for rust resistance. Drop forged safety hooks. Meets OSHA Specs. Meets ASME Spec B30.21-1999. Yellow dacronized coating. Not for use in ACQ lumber. Comes with 25' flexible strapping material that conforms to and controls the load - non-conductive properties. Features precision-cast aluminum alloy ratchet wheel - one piece construction. Interlocking, precision fit, steel alloy pawls with safety spacer sleeve. Cold rolled, high strength, tempered steel frame and handle. Drop-forged steel slip hooks with OSHA recommended safety latches. Heavy duty gauge steel, reinforced ratchet guard. Aircraft-type, heat treated bolts. High tensile, fully rotating steel swivel. Trouble free, "Notch-At-A-Time letdown. Permanent, comfortable non-slip grip. Great for truck cargo control, vehicle recovery/rescue, securing motorcycles/ATV's, Race car/auto tie down and animal loading assistance. Precision-cast aluminum alloy ratchet wheel; one piece construction galvanized, aircraft quality cable. Interlocking, precision fit, steel alloy pawls with safety spacer sleeve. Cold rolled, high strength, tempered steel frame and handle drop-forged steel slip hooks with OSHA Recommended safety latches. Heavy gauge steel, reinforced ratchet guard. Aircraft-type, heat treated bolts. High tensile strength, full rotating steel swivel. Trouble free, ``Notch-At-A-Time" letdown. Permanent, comfortable, non-slip grip. Safety factor 2:1. Cable diameter 3/16". SPECIFICATIONS: No.144SB-6 Maximum lift 6', and leverage 30:1. No.144S-6 Maximum lift 12', and leverage 15:1. Yellow dacronized coating. Not for use in ACQ lumber. One piece, aluminum alloy ratchet wheel. High strength, electro-plated steel parts. Notch at-a-time letdown. Designed to use highway 1/2-Inch diameter wear resistant dacron polyester rope-twisted or braided. Can accommodate an unlimited length of rope. High quality ASA Standard riveted roller chain. Every pin, bushing, roller and side plate is shot-peened during production to increase metal fatigue resistance. In 10' lengths for replacing complete chains or large sections. Heavy roller chain (i.e. 60H or 80H roller chain) provides extra thickness of side plates which affords greater capacity of shock load without experiencing side plate metal fatigue. High quality ASA Standard riveted roller chain. Every pin, bushing, roller and side plate is shot-peened during production to increase metal fatigue resistance. In 10' lengths for replacing complete chains or large sections. Heavy roller chain (i.e. 60H or 80H roller chain) provides extra thickness of side plates which affords greater capacity of shock load without experiencing side plate metal fatigue. Yellow dacronized coating. Not for use in ACQ lumber. Long Haul, with 20' of 1/2" dia. Wear resistant dacron polyester rope - twisted or braided. Longer, flexible reach - conforms to and protects your load. Notch-At-A Time, Let for Positive control, trouble free let down. OSHA Recommended Safety Latches - Hooks stay connected. Non-Slip Plastic Grip provides permanent, comfortable use and reduces hand fatigue. Uses highway approved, Can accommodate an unlimited length of rope. Great for recovering vehicles, securing material to trucks, handling logs, trees & stumps, moving boats & trailers, transporting furniture & clearing debris. Made in the USA. High quality ASA Standard riveted roller chain. Every pin, bushing, roller and side plate is shot-peened during production to increase metal fatigue resistance. In 10' lengths for replacing complete chains or large sections. Heavy roller chain (i.e. 60H or 80H roller chain) provides extra thickness of side plates which affords greater capacity of shock load without experiencing side plate metal fatigue. Replaces 3/8" and 1/2" lag bolts and screws for exterior structural wood to wood applications, flat head. For playground and gymnasium equipment (1/0 and larger), farm and animal chains, and many general-purpose applications. Do Not Use for overhead lifting. *Not Recommended for swing sets; the Playground Equipment Association, which has adopted the min of 1/0 Inco coil chain. WARNING: DO NOT EXCEED the working load limits for chain or components. DO NOT USE for overhead lifting or hoisting. DO NOT USE if the chain or components are visibly distorted or worn. Replaces 3/8" and 1/2" lag bolts and screws for exterior structural wood to wood applications, flat head. Made for heavy lifting, pulling, winching with a 3 ton capacity. Most durable lifting/pulling portable device ever made; equipped with 18 feet of special flexible 5/16" wire cable. Portable; weighs only 23.9 lbs; 3 to 1 safety factor. Applications: Pulling Electrical Wires, Lifting Engines, Recovering Vehicle, Landscape Projects, Auto Repair Work, Farming, Stretching Fences, Boats & Personal Watercraft. Easy to install lag alternative. Zero stripping recessed star drive. Cee thread for a clean finished look. W-Cut for low torque, smoother drive. ZIP-TIP for no pre-drilling, faster penetration. Washer head provides immense holding power. Cutting pockets provide a clean hole, reduces splitting, and bore with precision. ESR-3201 Approved for structural application. Climatek Coated: AC257 code approved for use in treated lumber. For interior/exterior use in: carrying beams, ledger boards, stair rails, deck posts, playground equipment and other professional applications. Replaces 3/8" and 1/2" lag bolts and screws for exterior structural wood to wood applications, flat head. Easy to install lag alternative. Zero stripping recessed star drive. Cee thread for a clean finished look. W-Cut for low torque, smoother drive. ZIP-TIP for no pre-drilling, faster penetration. Washer head provides immense holding power. Cutting pockets provide a clean hole, reduces splitting, and bore with precision. ESR-3201 Approved for structural application. Climatek Coated: AC257 code approved for use in treated lumber. For interior/exterior use in: carrying beams, ledger boards, stair rails, deck posts, playground equipment and other professional applications. General utility use. Low carbon steel standard material. DO NOT USE FOR OVERHEAD LIFTING Replaces 3/8" and 1/2" lag bolts and screws for exterior structural wood to wood applications, flat head. 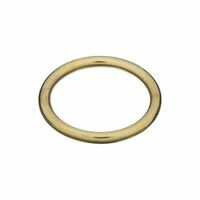 Pins are made of high tensile zinc plated steel with a spring wire handle, oversized washer-head and clip. Includes sturdy wire rack. Mounts on pegboard, shelf or counter. Includes vinyl header with product size and size information. Assortment contains: 3- S071021C0, 3 ? S071022C0, 4 ? S071031C0, 4 ? S071032C0, 3 ? S071041C0, 3 ? S071042C0, 2 ? S071052C0. and 2-SO71051CO. Easy to install lag alternative. Zero stripping recessed star drive. Cee thread for a clean finished look. W-Cut for low torque, smoother drive. ZIP-TIP for no pre-drilling, faster penetration. Washer head provides immense holding power. Cutting pockets provide a clean hole, reduces splitting, and bore with precision. ESR-3201 Approved for structural application. Climatek Coated: AC257 code approved for use in treated lumber. For interior/exterior use in: carrying beams, ledger boards, stair rails, deck posts, playground equipment and other professional applications. Replaces 3/8" and 1/2" lag bolts and screws for exterior structural wood to wood applications, flat head. Easy to install lag alternative. Zero stripping recessed star drive. Cee thread for a clean finished look. W-Cut for low torque, smoother drive. ZIP-TIP for no pre-drilling, faster penetration. Washer head provides immense holding power. Cutting pockets provide a clean hole, reduces splitting, and bore with precision. ESR-3201 Approved for structural application. Climatek Coated: AC257 code approved for use in treated lumber. For interior/exterior use in: carrying beams, ledger boards, stair rails, deck posts, playground equipment and other professional applications. Contains best selling sizes. Includes sturdy wire rack. Mounts on pegboard, shelf or counter. Stacks on other rack displays. Includes header with product and size info. Assortment contains: 6 ? S70052200, 8 - S70053100, 8 ? S70053200, 4 ? S70054200, 3 ? S70055200. Replaces 3/8" and 1/2" lag bolts and screws for exterior structural wood to wood applications, flat head. Zero stripping with 6 points of contact. Recessed star srive eliminates mushrooming. Trim head for a clean finished look. W-Cut: Low torque, smoother drive ZIP-TIP for no pre-drilling, faster penetration. ESR-3201 Approved for structural application. Case hardened steel for high tensile, torque and shear strength. Climatek Coating is AC257 code approved for use in treated lumber.For interior and exterior use. Zero stripping recessed star drive. Trim head for a clean finished look. W-Cut? : Low torque, smoother drive. ?ZIP-TIP? for no pre-drilling, faster penetration. ESR-3201 approved for structural application. Case Hardened Steel for high tensile, torque and shear strength. Climatek coating is AC257 code approved for use in treated lumber. For interior and exterior use. Zero stripping with 6 points of contact. Recessed star srive eliminates mushrooming. Trim head for a clean finished look. W-Cut: Low torque, smoother drive ZIP-TIP for no pre-drilling, faster penetration. ESR-3201 Approved for structural application. Case hardened steel for high tensile, torque and shear strength. Climatek Coating is AC257 code approved for use in treated lumber.For interior and exterior use.